I’m beyond excited to announce that the Champipunship is back! 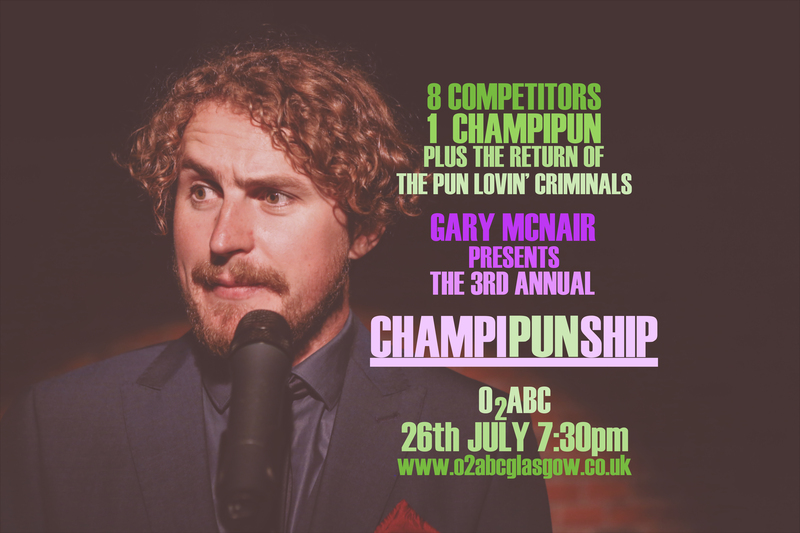 This evening of wordplay and highly competitive silliness originally started as a fundraiser to take Donald Robertson Is Not A Standup Comedian to the Edinburgh Festival Fringe but such was the popularity of the event, I am bringing back as a night in it’s own right. Also, I decided to call the inaugural night the First Annual Champipunship, thus subsequently trapping myself lifetime of these wether people wanted them or not! A decision I will never regret. Speaking of getting involved- if you fancy yourself as a potential Champipun, then make yourself known. Spaces are filling up but if you would like to compete, or you know someone else who would, then please contact me@garymcnair.co.uk as I have reserved a couple of spaces for the launch.